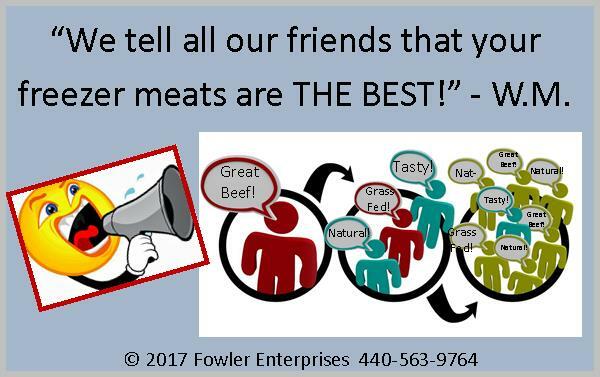 Our family has raised freezer beef for over twenty three years and we have specialized in grassfed beef for the last ten. 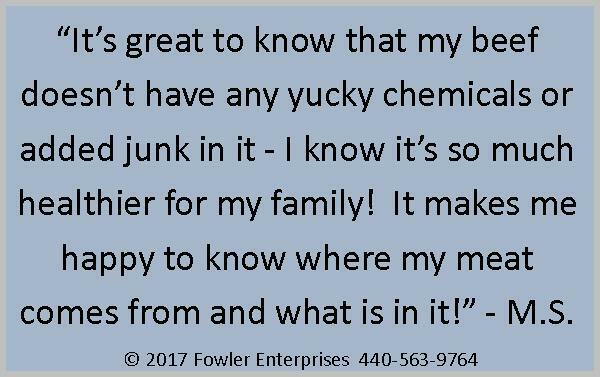 We pay special attention to the health of our soils, grasses, and calves to ensure the best quality product for your family and ours! Along with our packer, we are pleased to offer many custom cutting and packaging options! We will walk you through the custom cuts available to ensure satisfaction with the cuts you receive. Please see the article below for more details on custom cutting and packaging. We are also pleased to offer a referral discount for all package options! 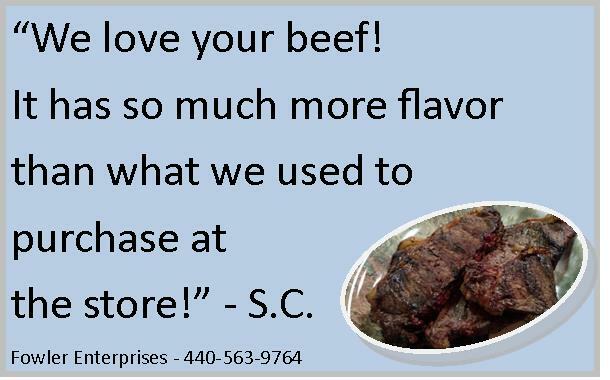 For each new customer referred, the existing customer will recieve a credit toward their future freezer beef purchase! Are you running low on ground beef? We can create Ground Beef ONLY packages if desired! 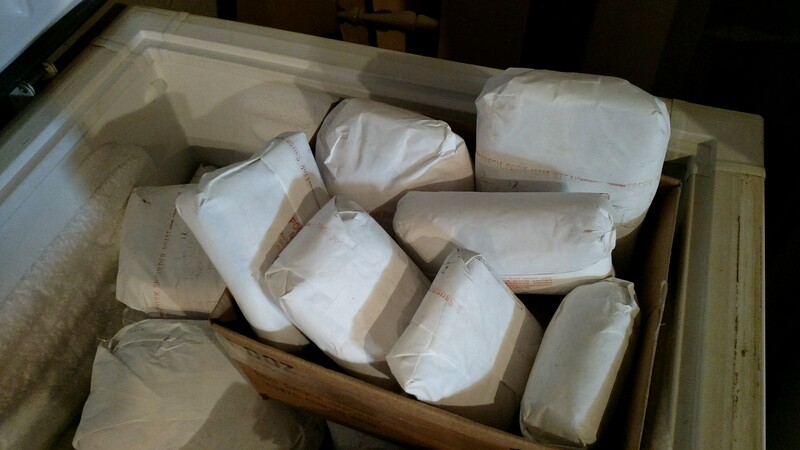 Eighths are expected to contain at least 40-50# bulk 1# packages of ground beef, quarters should have 100-125#. The price is $3.49/# hanging weight and as always you only pay for the hanging weight of the amount of beef you receive! To order the Ground Beef ONLY package please include a note with your deposit or select the GROUND BEEF ONLY package from the order box at the bottom of this page. Thank you! Place your deposit on our customized beef packages for today! Raising quality meats for your freezer has been a family commitment for over twenty years. Carrying on a tradition of excellence, our boys (Seth – 14, Caleb – 10) are in the process of purchasing and raising pigs for the fourth year in a row. 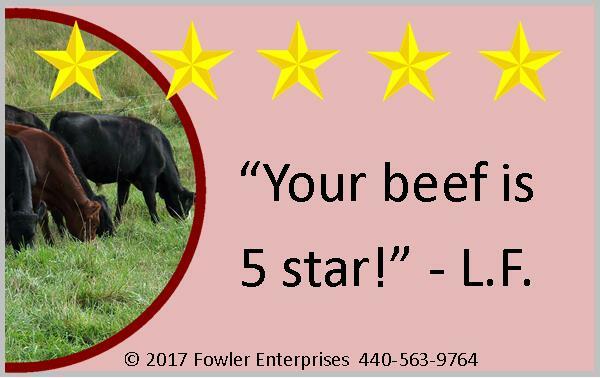 They gain invaluable experience in animal husbandry, finances, and marketing through this project and we appreciate your patience as they make sales calls and follow up for cutting instructions! 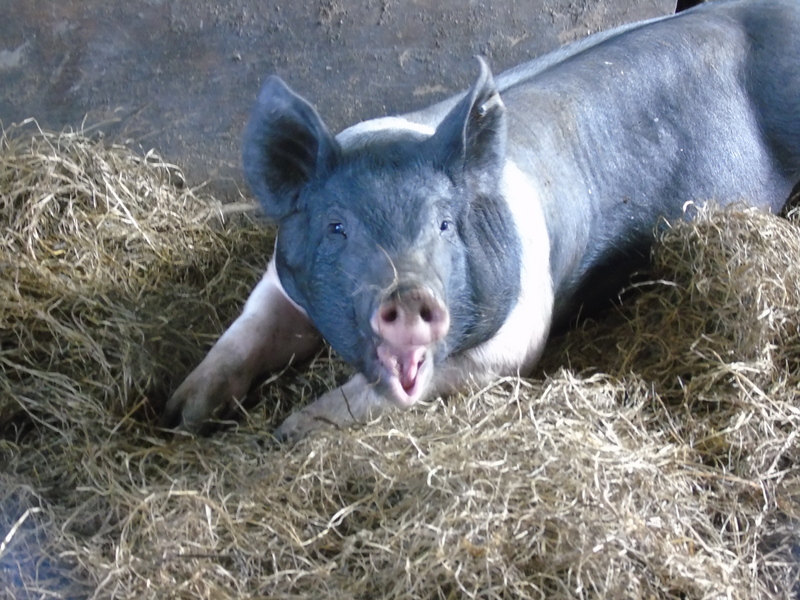 Freezer pork is available by the half (approx 90# hanging weight) or whole (approx 180# hanging weight) and is anticipated to be ready for your freezer in early February 2018. Please place your deposit using the tabs below. Final price per pound will be determined in late January, however, we typically have very competitive freezer pork pricing. Last year the average price of a half freezer pig was $225. We are pleased to work with our packer to offer a variety of custom cuts and packaging styles! 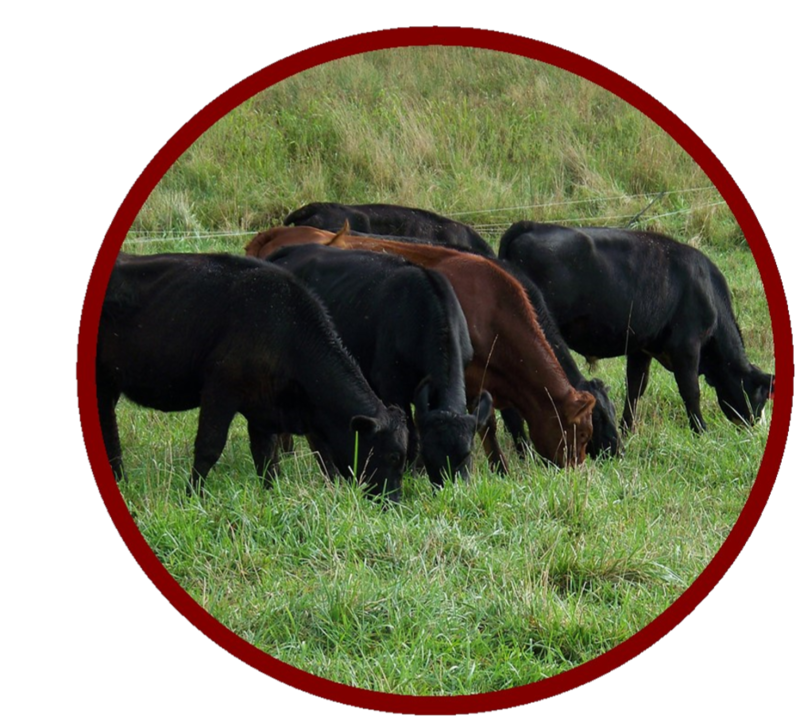 There is a progressive level of flexibility depending upon the quantity of beef you are purchasing. We offer packages that are cut to include both roasts and steaks (rather than a “front quarter” or “rear quarter”, which are primarily roasts/ground, or primarily steak/ground). This ensures that every freezer beef package offers a variety of premium and standard cuts for the low price of $3.49/# hanging weight! Eighths are available in boneless variety packages only. You typically receive bone-out steaks (Tenderloin, Strip Steak, Ribeye) and the nicest roast(s) (ie. Sirloin Tip or Rolled Rump), along with a variety of bulk ground beef and patties depending on the season. Typical packaging is 2 steaks/pkg, 3-4# roasts, and 1# ground beef. Quarters have more flexibility in ordering style and can be either boneless or bone-in (ie.Porterhouse, T-Bone, Rib Steaks), with roasts or without. 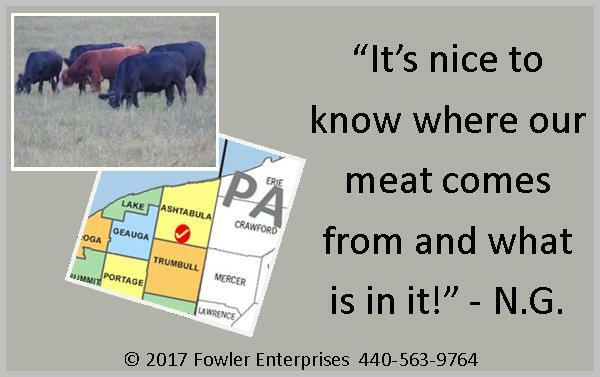 There is more flexibility in packaging, especially with bulk or pattied ground beef. We can grind all roasts or do all ground beef quarters if desired. Halves offer the greatest amount of flexibility because we do not have to “match” your selections with another comparable order. You have the flexibility to select any style of cuts or packaging that you desire, provided that our packer has heard of it before of course! After you place an order and confirm it through the deposit payment we will arrange a phone call to discuss cutting options. We need to have custom cuts no later than the Wednesday after the order/deposit deadline. Please make sure the contact information you provide is the best for reaching you in a timely manner! Patties are available in .25#, .33#, and .5# for .35c/#pattied extra. (10# patties costs $3.50) .25# patties are selected for all eigths and most quarters with 4/pkg. “Hanging weight” refers to the official dressed weight of the carcass after hide, head, guts, and other inedible portions have been removed. It does include bones and fat that may be removed during cutting and packaging. Due to government regulations we are only able to offer beef for sale by the hanging weight at this time.